Welcome to the Il Cantico della Natura in Perugia. 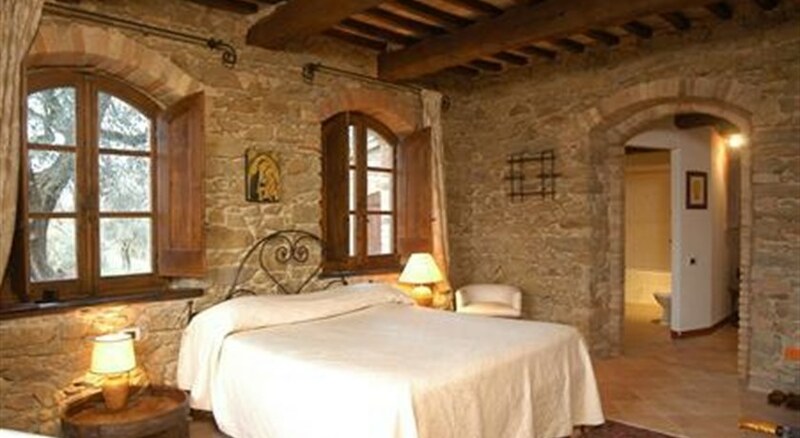 The closest cities to the hotel are Perugia (18 km) and Cortona (30 km). Other cities: Assisi (45 km). The staff in this hotel speaks English. A playground for children is available. The hotel features a swimming pool with an integrated children's pool. Sunshades and sunbeds are available free of charge at the pool. Accessible from the hotel: disco (20 km), markets (4 km), tourist information (15 km), airport (80 km), train station (5 km), horse riding (6 km) and shops (4 km). Amenities: For convenience the following services are offered: ironing service, laundry service, medical care, babysitting and a safe. Internet access is provided at wifi-hotspots. Meals: The breakfast type is Buffet. Evening drinks can be enjoyed at the lobby bar. Sport and Leisure: Activities such as table tennis are offered at the hotel. Wellness and health facilities are offered where guests can relax in a sauna, at a Turkish bath, at a spa, in a hamam, in a whirlpool and during massages. Additional Information: Payment facilities include Visa Card, Diners Club, American Express and Euro/Master Card. Additional fees may apply for certain facilities, amenities or activities.